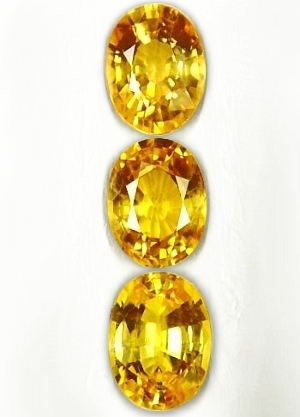 certified unheated yellow sapphires: for Vedic astrology, Ayurveda, healing and fortune. 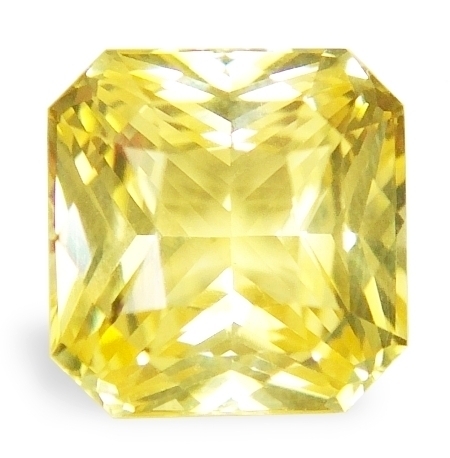 Uniquely cut, sweet with flawless clarity, 3rd party certified unheated, Ceylon yellow sapphire. Compelling in shape, this unheated, Ceylon yellow sapphire was mined in the Pelmadulla gem fields, cut and polished in Ratnapura, Sri Lanka. As clean as it gets, this unheated yellow is for somebody that likes the unusual shape and one-of-a-kind feel. Either one of our ring or pendant designs, this is guaranteed to mount very well and attract the benevolence of Jupiter in your life. Certified unheated by the GGTL (Global Gem Testing Laboratory, Sri Lanka). 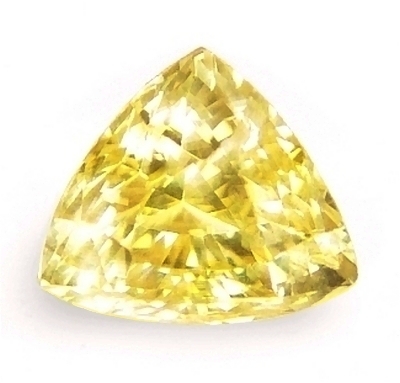 Finest yellow color, marvelously cut, 3rd party certified unheated, Ceylon yellow sapphire. Gorgeous. What a beautiful color. 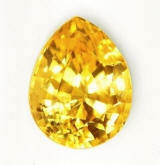 This unheated, Ceylon yellow sapphire was mined in the gem fields of Pelmadulla, Sri Lanka, cut & polished in Ratnapura. Fine golden yellow color, this gem is blessed with perfect clarity, perfect "drop" shape cut, and a very auspicious and mystical feel. Either ring or pendant, this is guaranteed to brighten your day. Certified unheated by the TGL (Tokyo Gem Laboratory, Thailand). 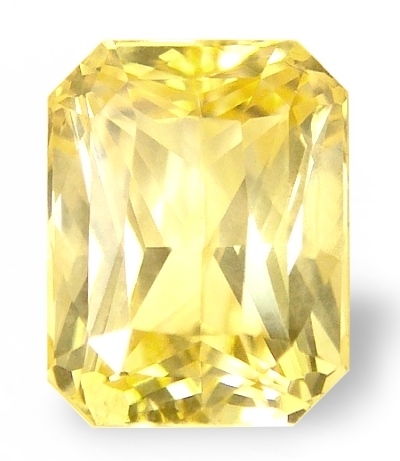 Simply a brilliant & mystical, 3rd party certified unheated, Ceylon yellow sapphire. Very lustrous, and possessing an exciting & special feel, this unheated, Ceylon yellow sapphire was mined in Kuruvita, and cut & polished in Ratnapura, Sri Lanka. 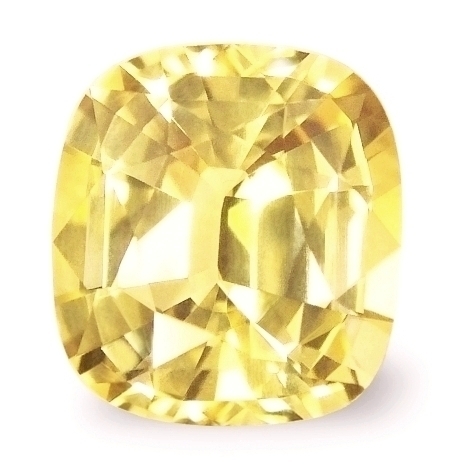 A really beautiful, trillion cut yellow sapphire exuding auspicity, uniqueness and an overall joyful and exotic eye appeal. Certified unheated by the TGL (Tokyo Gem Laboratory, Thailand). 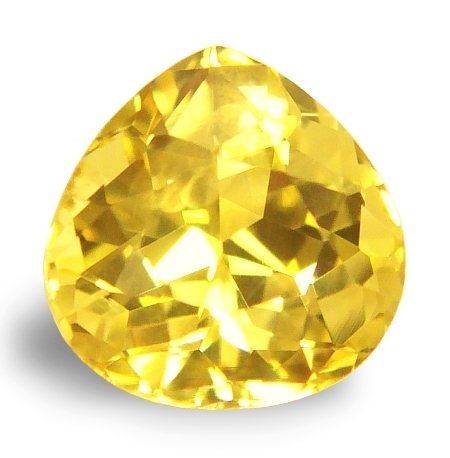 Awesomely brilliant, rare and beautiful shape, 3rd party, certified unheated, Ceylon yellow sapphire. A superbly brilliant, 3rd party certified unheated, Ceylon yellow sapphire, mined in the gem fields of Elahera, Sri Lanka. Trillions when properly cut, emanates a special, charming & auspicious brilliance and an overall mystical feel. Certified unheated by the Lakshani Gem Testing Lab, Sri Lanka. Delightful, very pristine with finest clarity, 3rd party certified unheated, Ceylon yellow sapphire. A very lovely, 3rd party certified unheated, Ceylon yellow sapphire, this one mined in the Kuruvita area, cut & polished in Beruwela, Sri Lanka. Unusual shape with fine clarity, good color, this is for someone who desire a masculine look in his or her jewel. Will set beautifully in any setting and will sure bring a wave of Jupiter positivity in your life. Certified unheated by the GGTL (Global Gem Testing Laboratory, Sri Lanka). 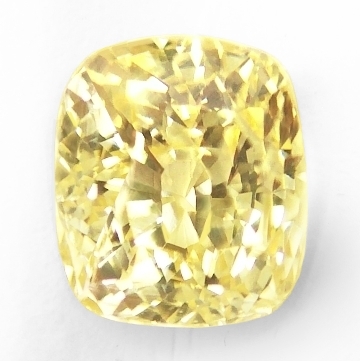 Brilliant, perfect oval flower cut, unheated, 3rd party certified unheated, Ceylon yellow sapphire. What a brilliant sapphire. This unheated, Ceylon yellow sapphire was mined in Marapana, cut & polished in Ratnapura, Sri Lanka. 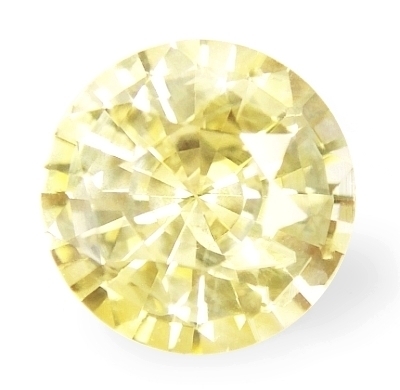 Classic oval, flower cut, "regular", unheated yellow color, which is averagely light in tone, but with fine clarity, and of course, the flower cut, bringing out a superior, flawless, sun-like luster. Very well priced for this quality and size. Certified unheated by the GGTL (Global Gem Testing Laboratory, Sri Lanka). Effulgent, well cut & clean, top unheated color, Ceylon yellow sapphire for Vedic astrology. This Vedic yellow sapphire has it all. It was mined in the gem fields of Pelmadulla, cut & polished in Beruwela, Sri Lanka. The color here steals the show. Finest, rare "lemon" golden-yellow color, great clarity and well proportioned visual dimensions. 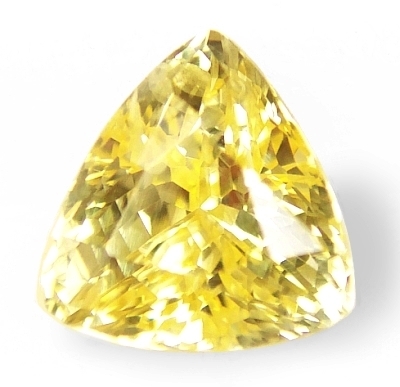 For your information, averagely, unheated yellow sapphires are a very light yellow...If you want a very auspicious, Jyotish yellow sapphire with rare top color, this is the right one. Perfection. 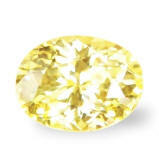 Spell-binding, flawless, unheated, Vedic yellow sapphire. This is what perfection looks like. Unheated & untreated, this one was mined in the Kuruvita area, cut & polished by our talented cutter Nalin in Ratnapura, Sri Lanka. 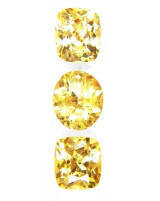 Finest no heat yellow color, perfect cut, and unusual, feminine shape with full brilliance and mystic eye appeal. If you want the very best, auspicious to bring Jupiter's favors in your life, this is the yellow sapphire for you. Welcome to the Planetary Gems Co, known also as The Planetary Gems International Co. Your trusted source for Vedic, Jyotish, astrological yellow sapphires and the 9 Vedic gems. Pick a gemstone from our extensive inventory, ask to have it set in an one-of-a-kind, astrological, Jyotish ring or pendant, designed exclusively for you. We guaranteed our natural, pure, astrological gemstones to be untreated, clean, and superbly cut to the highest international standards. And most of all, you will not find this quality, at lower prices anywhere else. Spell-binding, flawless, large face, perfection in every facet, unheated, Jyotish yellow sapphire. Same words for the sapphire above. This is what perfection looks like. Unheated & untreated, this one was mined in the Nivitigala area, cut & polished in Ratnapura, Sri Lanka. If you want a perfect sapphire, good no heat color, rare flawless clarity, cut to perfection in the classic Ceylonese antique cushion, definitely auspicious to Jupiter, thus this is the sapphire for you. Absolutely gorgeous. Adorably lustrous, 3rd party certified no heat, Ceylon yellow sapphire. Lovely. Here is a deal that will not be duplicated. This certified unheated, Ceylon yellow sapphire hails from the gem fields of Lellopitiya, cut & polished in Beruwela, Sri Lanka. Prices for unheated yellow sapphires have reached an all-time high. 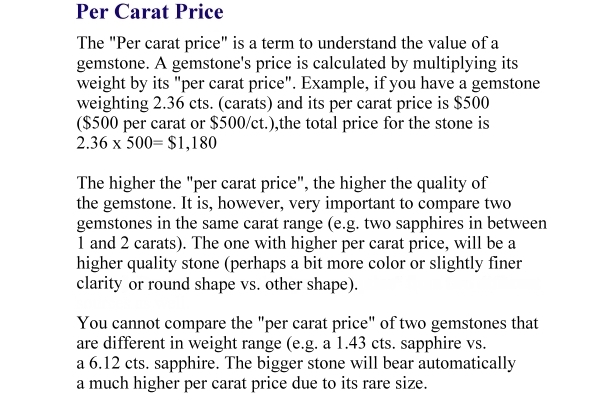 And this sapphire is surely a deal for its quality. Certified unheated by the SGL (SanGems Laboratories, Sri Lanka). Very beautiful, gorgeous color, unheated, Ceylon yellow sapphires, 3-gems set. A most beautiful, unheated, Ceylon 3-gems sapphire set hailing from the gem fields of Nivitigala, and cut & polish in the town of Ratnapura, Sri Lanka. 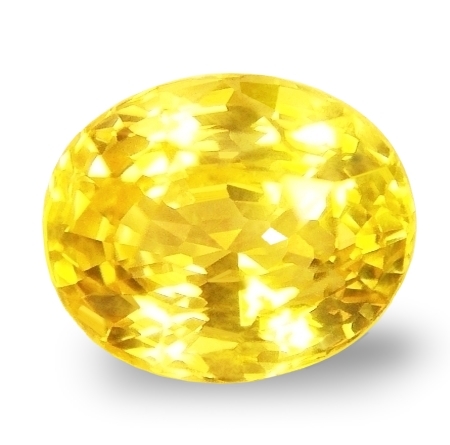 Very well matched in fine lemon color, perfect flawless clarity and inundate with great luster, an unheated, single stone yellow sapphire of this quality, would be more than the double price. Great comparable savings, & of course simply, truly gorgeous. This will make a delightful 3-gems pendant. Exciting & lustrous, very well matched, low heated, Ceylon golden sapphire set. Real nice. Marvelous & exotic set of Ceylon golden sapphires hailing from the Nivitigala gem fields, Sri Lanka. 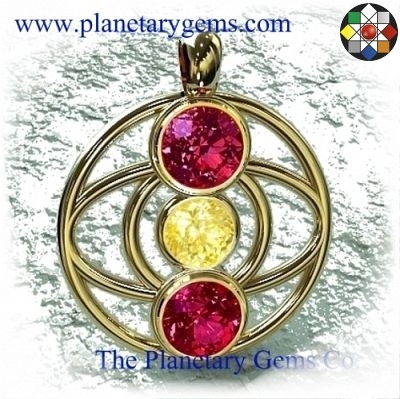 The color is simply beautiful, and surely these 3 sapphires will make a most ravishing Jupiter pendant talismans for a very low investment for the quality offered. 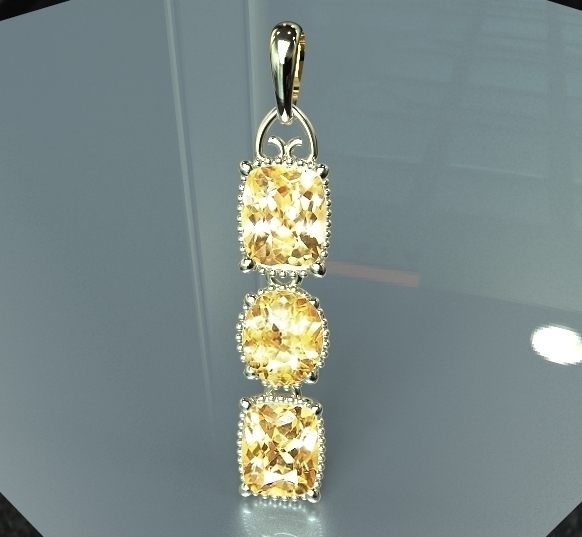 The stones are only low heat treated to bring out the golden color. 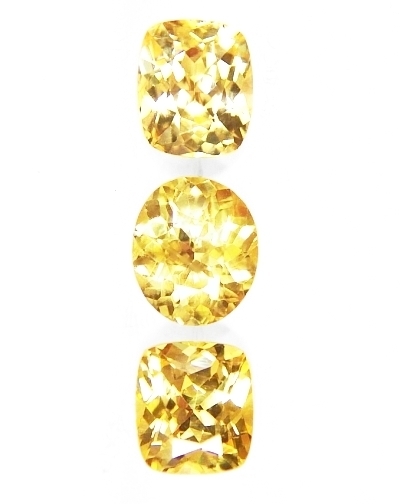 Spell-binding, superbly cut, certified unheated, Ceylon yellow sapphire. Gorgeous gem. Absolutely beautiful. 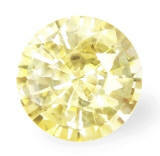 This 3rd party, certified unheated yellow sapphire hails from the gem fields of Kuruvita, Sri Lanka. If you are looking for a perfect round cut, there is nothing better than this one. The "face" (visual dimensions faced up) is that of a 4+ cts. stone. This is how perfect it is cut. And the luster is simply irresistible and spell-binding. Certified unheated by the SGL (SanGems Laboratories, Sri Lanka).